Hi loves, I’m so excited today because I’m publishing my first ever guest post by Helen of Helen, Naturally and I’m honored to have one written by a native of the state I’m currently vacationing in, Louisiana. I’m 30 hours into my vacation in New Orleans and have already eaten so much good food. I envy Helen for living here 🙂 Anyways, I’ll let the native give an explanation of the kind of food they eat here in LA. Take it away, Helen! Hello Lauren Loves Good Food readers. I am Helen and I blog over at Helen, Naturally. I am very excited to be doing a guest post for Lauren while she is on vacation! I live in the wonderful state of Louisiana. Born and raised! I am bout 40 miles or so northwest of New Orleans. New Orleans is a wonderful city with loads of culture. If you have never had the opportunity to visit, you should really plan a trip. There are tons of things to do, see, experience, etc. New Orleans has a famous quote used frequently. That quote would be “Naturally New Orleans”! This is the inspiration for the blog title. So now you can say that Helen, Naturally is “naturally New Orleans”! But due to Lauren’s vacation taking place in New Orleans I wanted to share a bit of our culture with you. We live in a state that has exquisite cuisine. I feel very blessed to live here. Although I have traveled to many places including some tropical destinations, I still have found no other place on earth with the same foods as we have in Louisiana. Our cuisine comes from a combination of influences such as French, Spanish, Native American, African, Italian, the list goes on and on. 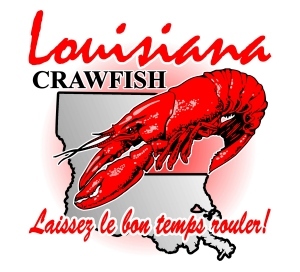 Our cuisine is better known as Cajun or Creole. However, the majority of our culture gets it’s roots from various European cultures. 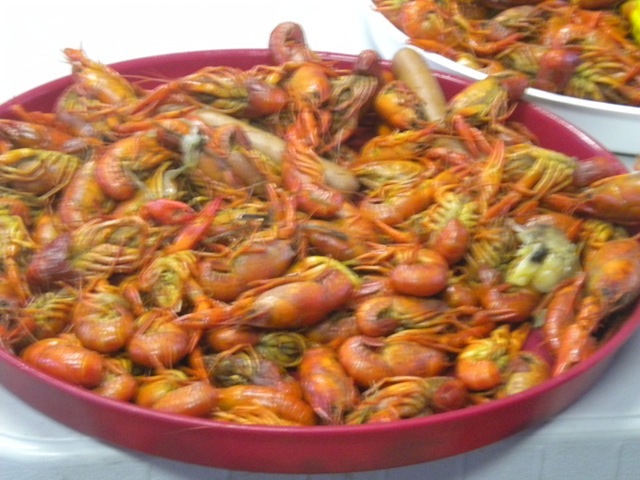 One of the things that we believe in here in cajun country is spice. We love our spicy food! You will not find a recipe that doesn’t include at least a touch of cayenne. We also start all of our dishes with what is known here as “the holy trinity”. This is simply a combination of onion, celery, and peppers. All dishes start with the holy trinity as the base. 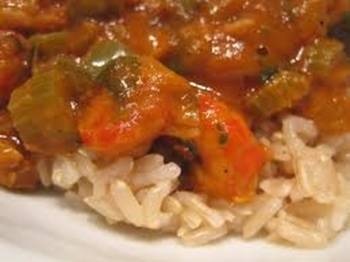 So what are some of the dishes that are famous and/or originated in Louisiana? In a large pot cover chicken breast with water and crab boil. Bring to a boil, cook until done, then turn off and let it sit for about 20 minutes. Remove chicken to a bowl and save the water in a different bowl. Shred the chicken. Dice your sausage and place in the bowl with the chicken. I used all lean beef sausage. 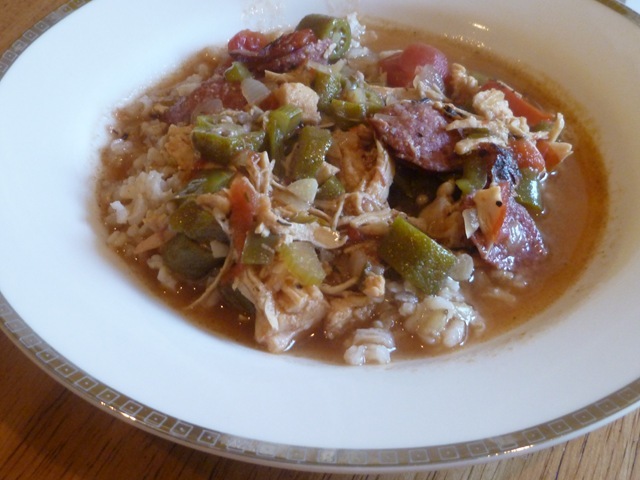 Andouille is the traditional sausage used in gumbo. Add a little oil to the pan and sauté the veggies until onions are translucent, remove from pot and place in bowl on top of shredded chicken. Now in a cast iron skillet add 2 tbs. olive oil and 2 tbs. flour and place over medium-low heat. Hey I warned you it was a process! This is the important step. It is very important to cook the roux very slowly as to not burn it. Believe me flour and oil will burn very quickly, and if it burns the whole thing is ruined. 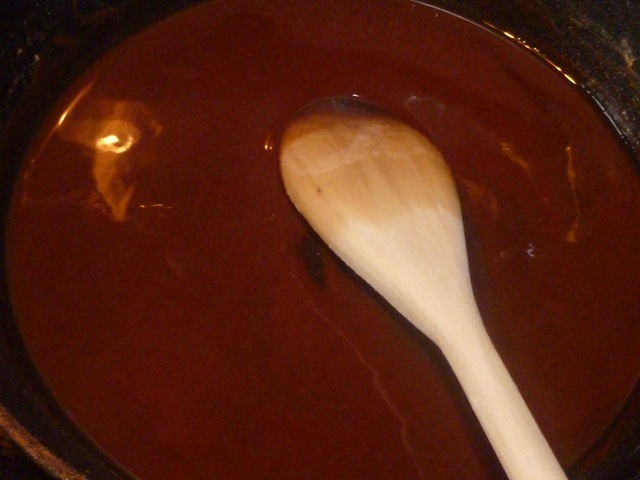 So you will slowly cook this over the medium-low heat, stirring, until it resembles a deep chocolate color. 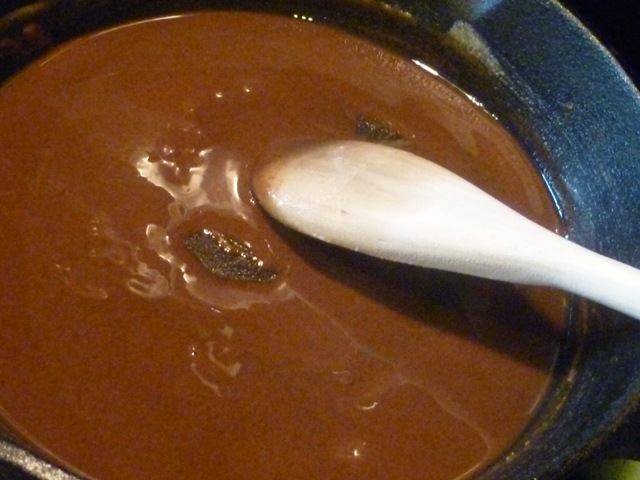 Next you will place the roux into the large pot. I know this sounds crazy; however, a roux made in a cast iron pan is totally different than is a regular pan. It does make a difference. So once the roux is in the large pot you will slowly add some of your chicken stock, whisk while pouring it in to incorporate the mixture. Again take your time and do this slowly to mix it properly. Once all of the stock is in the large pot (about 4 cups total) add the veggies and meat back to the pot. Stir in the seasonings, diced tomatoes, and okra. Bring to a boil, lower heat, cover, and simmer for at least 30 minutes – stirring occasionally Enjoy!! Another popular version is seafood. Just add shrimp, lump crab meat, and/or crawfish to the pot as opposed to the chicken and sausage. You should have 2-3 lbs. of meat for this pot of gumbo. Place on top of brown rice. This is super yummy with some nice crusty bread to go along with it! 1. In a 2 quart saucepan, melt butter or margarine over medium heat. 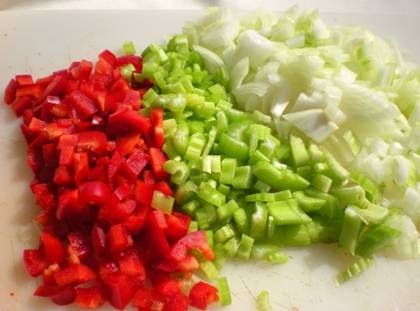 Add onion, green pepper, celery, and garlic; cook until tender. 2. Mix in cornstarch. Stir in stewed tomatoes, tomato sauce, Worcestershire sauce, chili powder, and red pepper sauce. Bring to a boil, stirring frequently. Stir in shrimp, and cook for 5 minutes. So as you can see we offer a variety of foods. We are also proud to be the home of several celebrity chefs such as Emeril Lagasse, John Prudhomme, and John Folse. Louisiana loves it’s food, culture, oh and we like to party. You can find a festival or celebration of some sorts most anytime in New Orleans! So come on down and give us a visit. 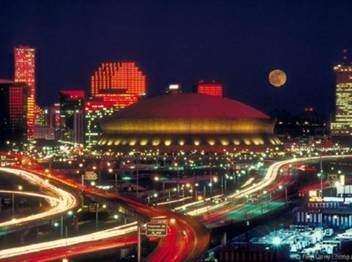 Come and experience “naturally New Orleans”, we promise you will not be disappointed. I love spicy food and have yet to make a trip to New Orleans — I must get on that! Yes you must! It is a total foodie town. I lived in LA for 2 years as a toddler. All I remember is the red ants! The food is unlike anything/anywhere else, that’s for sure!